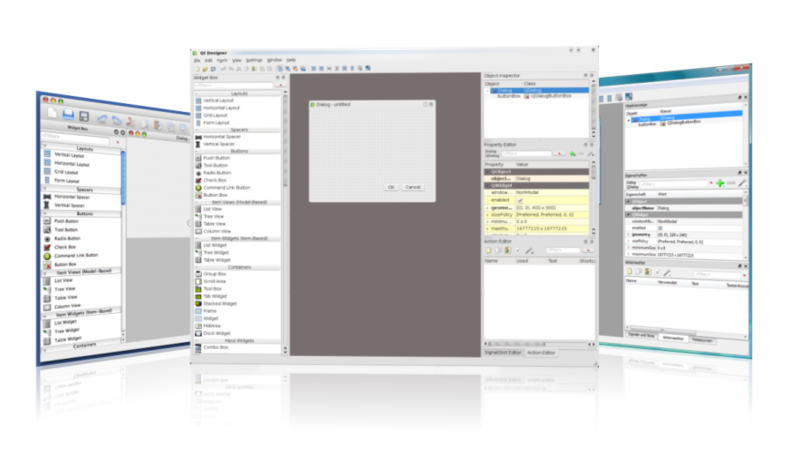 Qt Designer is Qt's tool for designing and building graphical user interfaces (GUIs) from Qt components. You can compose and customize your widgets or dialogs in a what-you-see-is-what-you-get (WYSIWYG) manner, and test them using different styles and resolutions. Widgets and forms created with Qt Designer integrated seamlessly with programmed code, using Qt's signals and slots mechanism, that lets you easily assign behavior to graphical elements. All properties set in Qt Designer can be changed dynamically within the code. Furthermore, features like widget promotion and custom plugins allow you to use your own components with Qt Designer.